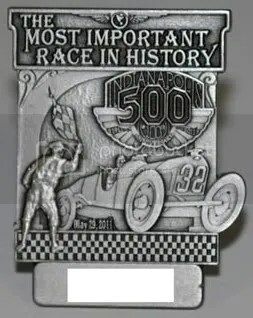 This year was the 100th anniversary of the Indianapolis 500. 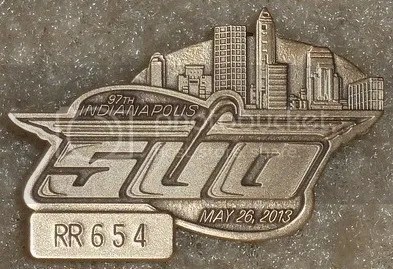 The pin pictured above was given to team members and certain sponsors. As you can see, the front depicts Ray Haroun driving the Marmon Wasp just like he did in the first 1911 Indy 500. If your looking to add one of these bad boys to your collection, be ready to open your wallet. These can sell for $50.00 to $100.00.